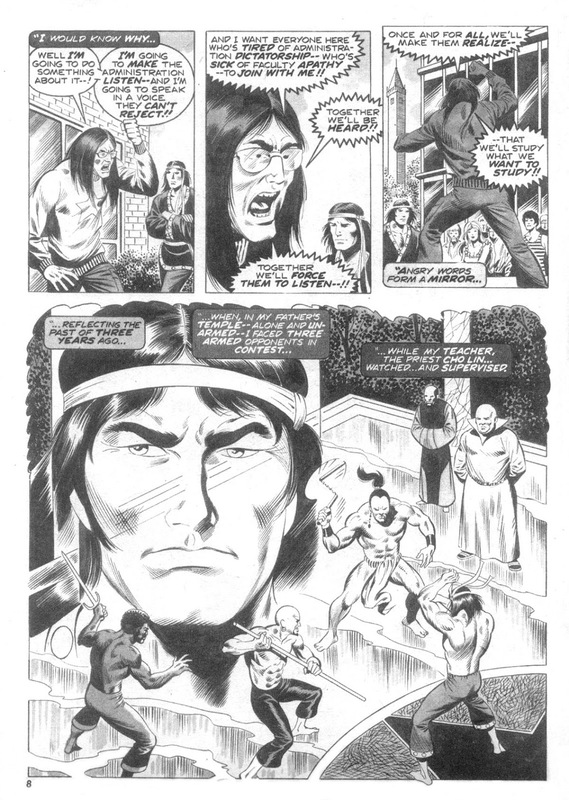 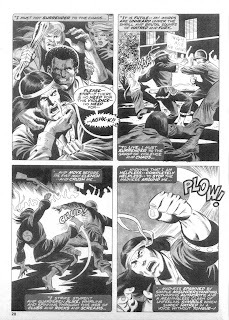 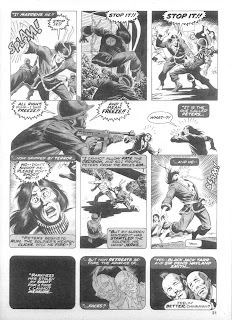 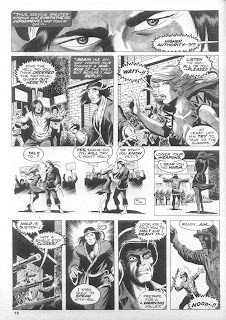 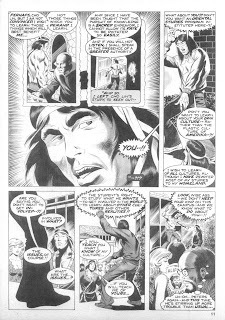 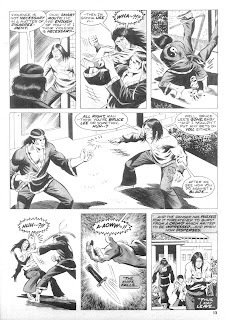 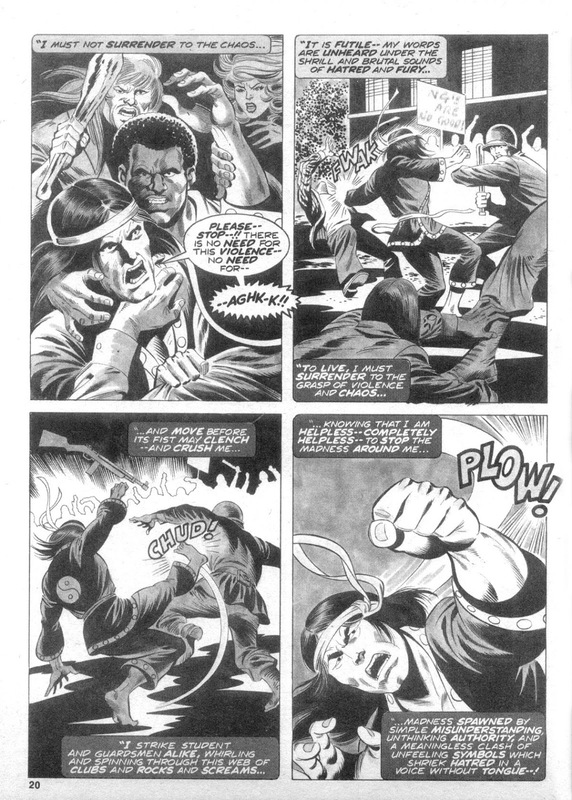 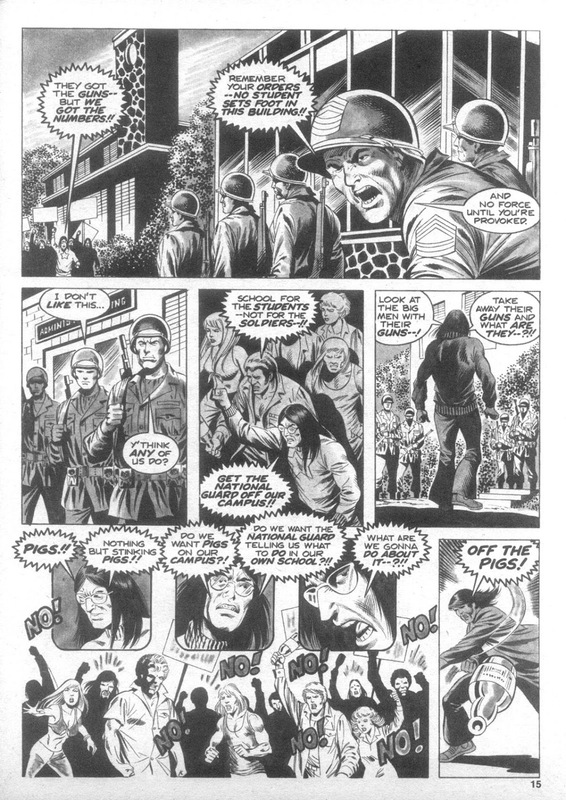 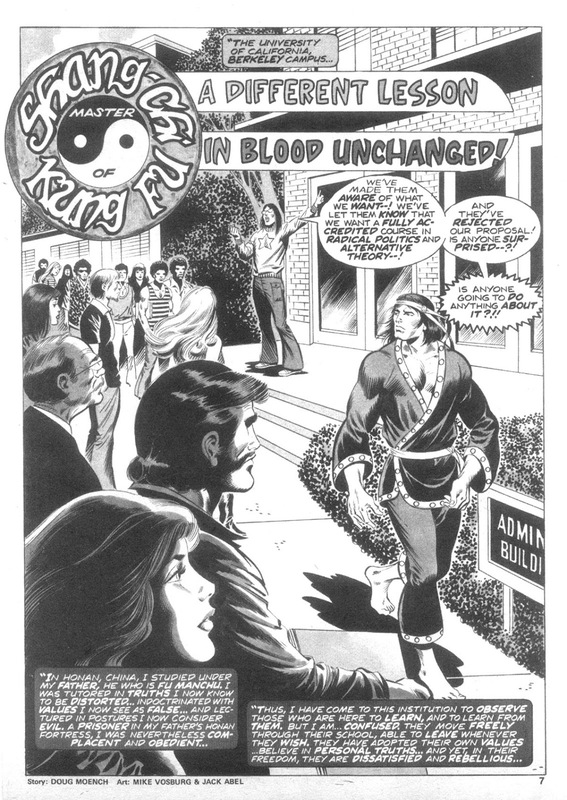 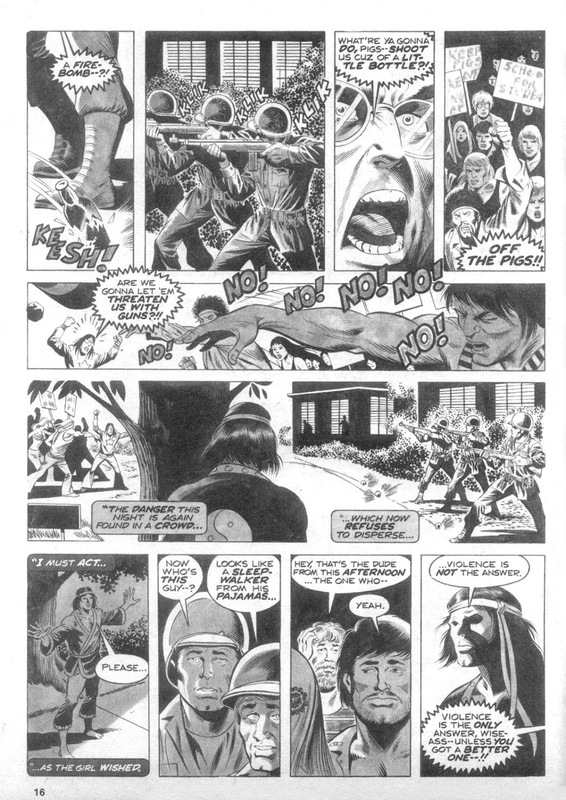 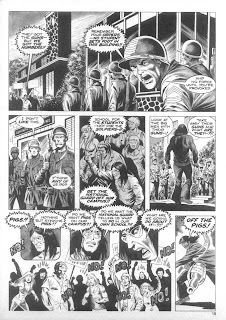 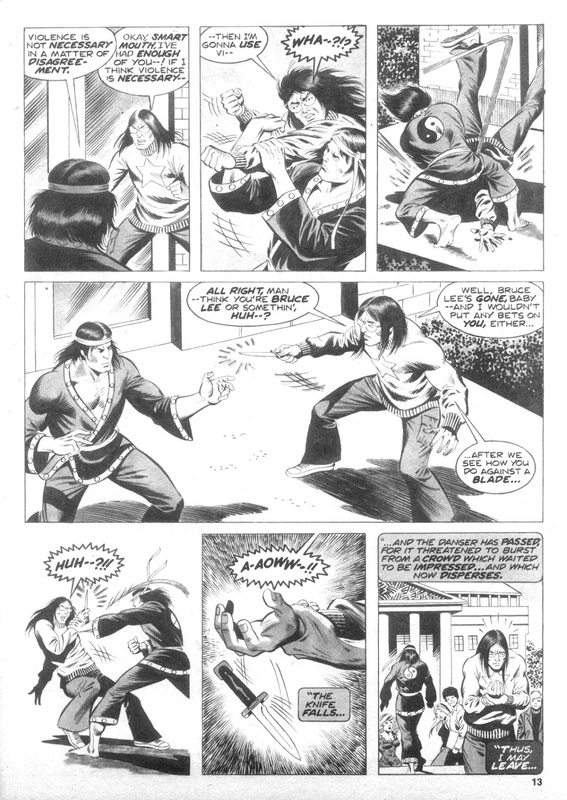 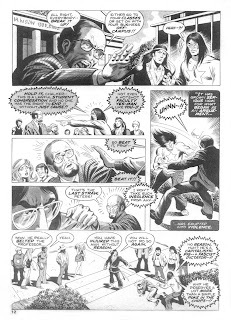 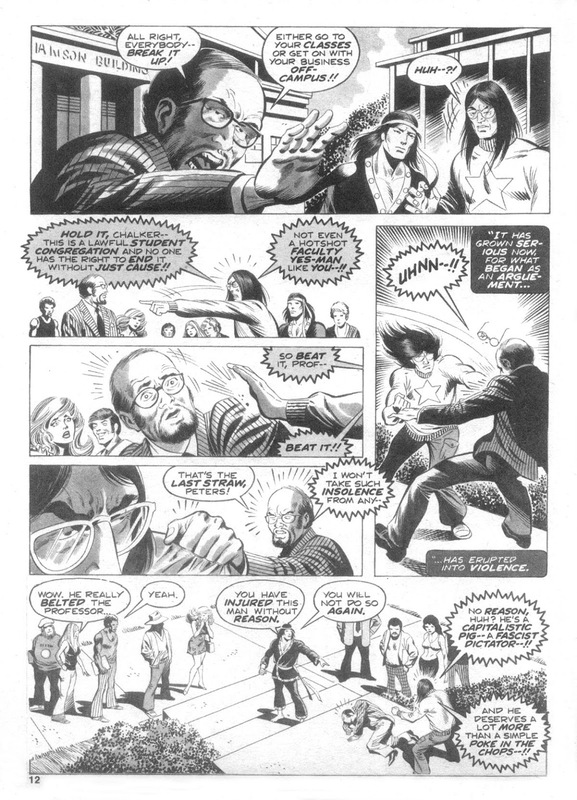 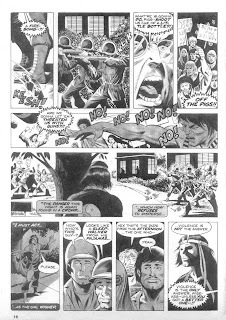 From Deadly Hands Of Kung Fu #11, here's Shang-Chi getting involved in a student riot, with obvious reference to the Kent State shootings of a few years before. 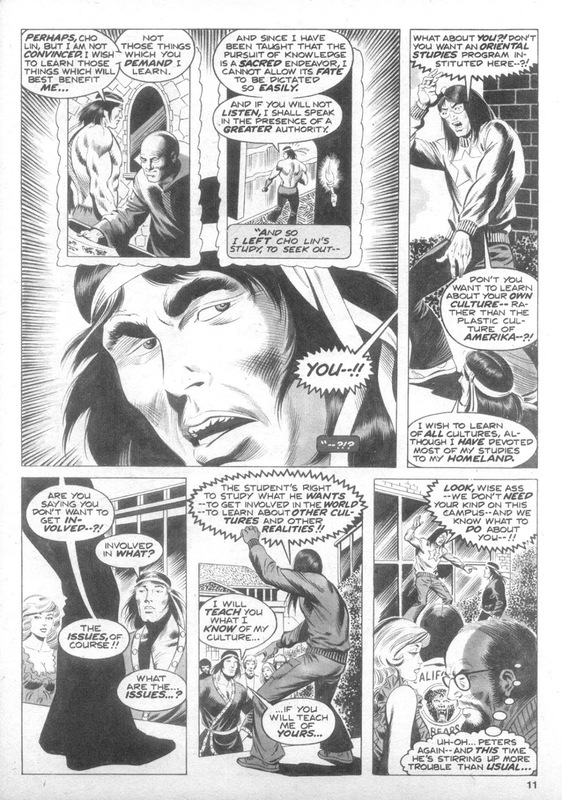 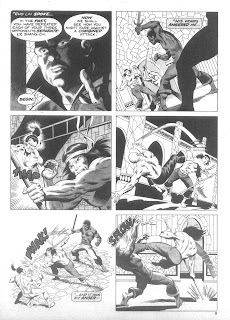 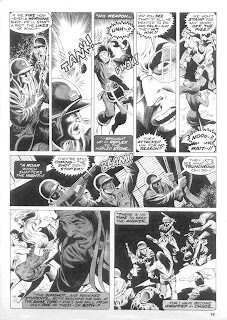 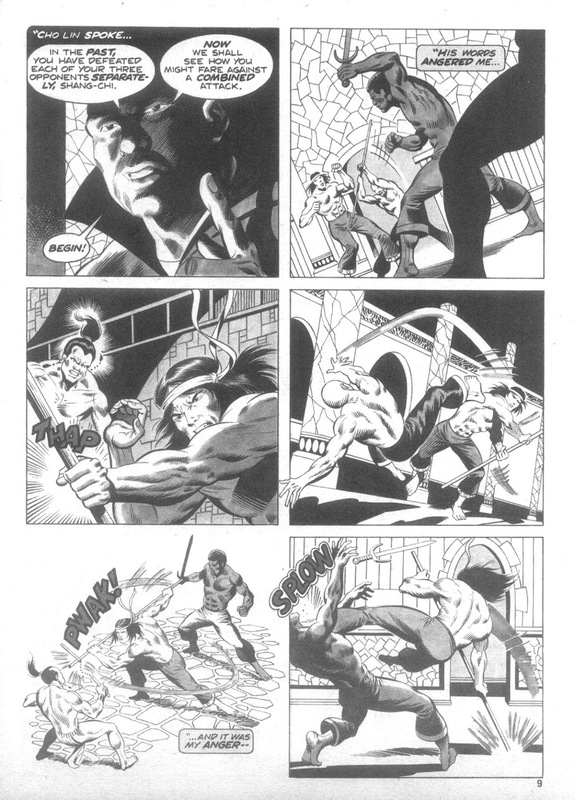 It's all a bit shrill, particularly with the main protagonist's habit of shouting every line of dialogue ( said character looking a little bit like writer Doug Moench looked back then ). 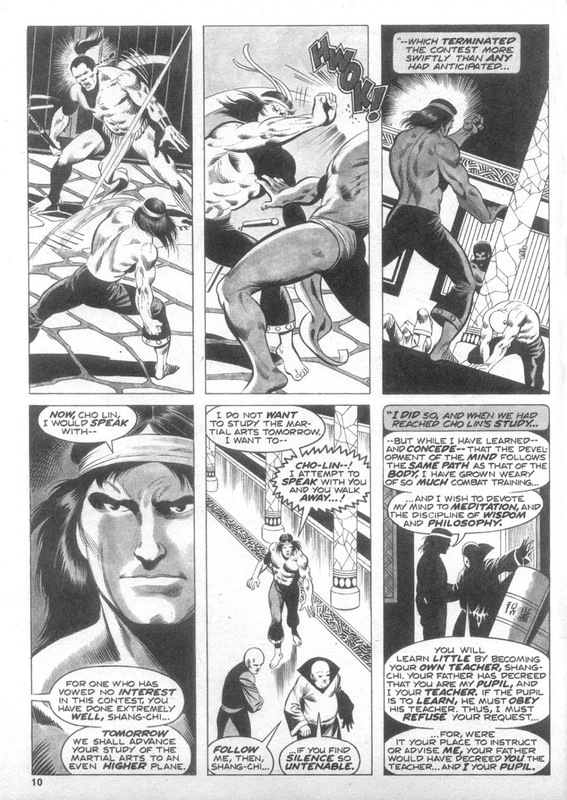 Plus, I always struggled with Shang's endlessly poetic navel-gazing narration, but I still really like this piece. 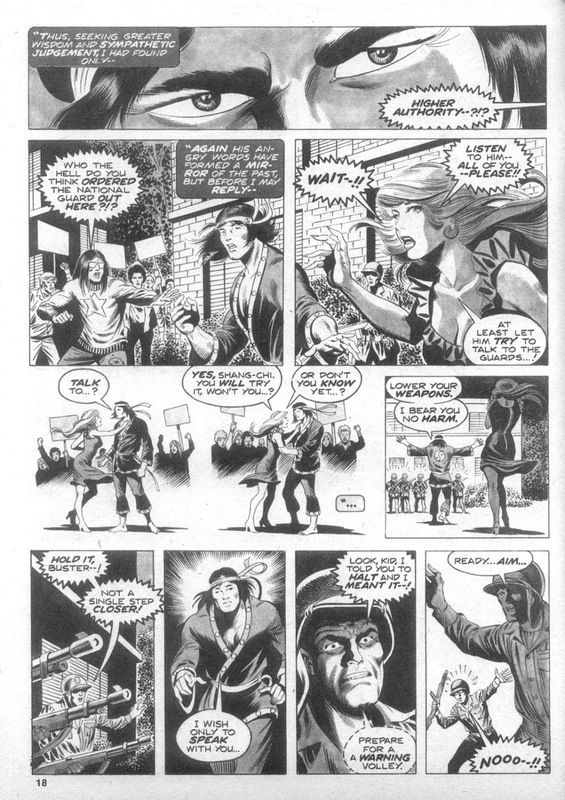 It's completely of it's time, and still works.